Discussion in 'Forza Horizon 4' started by GTPNewsWire, Jan 23, 2019. 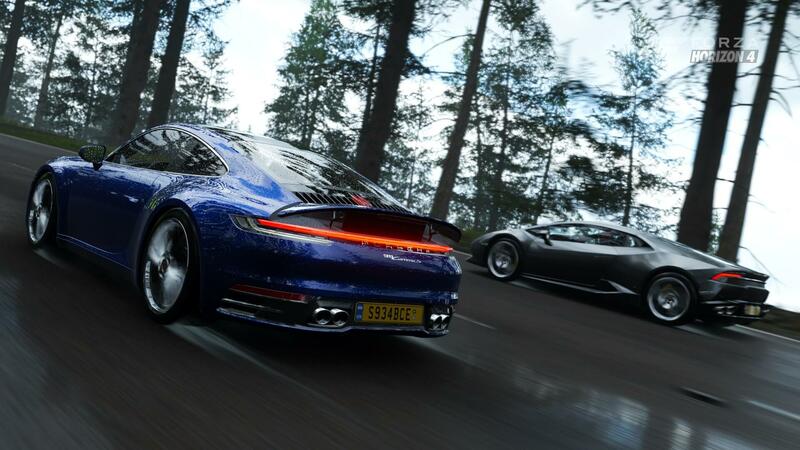 This article was published by Kyle Patrick (@SlipZtrEm) on January 23rd, 2019 in the Forza Horizon 4 category. I just wish playground can find a solution for the audio freeze as soon as possible. sangdude82, 53Nicolas and CSLACR like this. Well deserved, Playground Games. Great game. Forza Horizon 4, 4 Months On (Still Needs Online To Be Fixed And Needs To Be More Fun). Good game? Hmm. Graphics and physics are nice but it is still very buggy and crashes constantly, online is the worst I have ever experienced and there isn't much to do or see. I'll probably have to wait another 6 months to get my money's worth. Still only two stars for me. Weird how certain opinions you have seem to just flipflop back and forth. I'd be really interested to see your other reviews! Nexus, JoshMead, xlDevontelx and 6 others like this. Funny that you didn't wait 6 months for GTS, because you said that it was a already complete product when it launched (wich its not). But surprisingly you didn't buy Forza Horizon 4 because it is not complete, yet you praised TC2 wich launched without p2p and with broken multiplayer and lots of bugs and crashes. you don't own Forza Horizon 4 but you keep saying that it crashes and is buggy. IMO you are just trolling in Forza threads, just stop with it and move on. Just don't be a fanboy, don't start system wars here. Nexus, JoshMead, Imari and 3 others like this. He does own it. All the other points are valid though. Does FH4 have problems? yes - absolutely. It is also the best racing game on the market right now by far. xlDevontelx, CarGuru, Imari and 5 others like this. This obviously means it sold 7 million copies, right? McLaren, ImaRobot and Imari like this. No, I didn't wait 6 months for GTS, I waited until they announced GT League, at which I said "Yeah, I might as well". Do I like GTS? Yes. Do I play it? No, it doesn't offer the right gameplay for me. GTS was definitely a complete product at launch. The Human Race trailer literally says that the series had become "about car collecting" and they wanted to "burn it to the ground". I bought an Xbox One for FH4 and I said to the guy at the shop (we were having a chat) and I said I had a soft spot for the Horizon series. I bought it because of the content it had and its setting: not for being interesting (FH1), looking beautiful (FH2) or having variation (FH3), but because I live in the UK. I praise TC2 because it is really fun, not because of content. It was the most fun I've had in a racing game since TDU2. I have not said anything about the Live Battle mode, for the same reason I don't play GTS: it is competitive online multiplayer. I hate competitive online multiplayer. Broken multiplayer in The Crew 2?Nope. My game has crashed or glitched much more playing online in FH4. I haven't played that game once without it glitching or crashing. Funny you say I don't own FH4, because a quick look on my game list reveals a little-known racing game called Forza Horizon 4. I've owned it since it launched. So yes, I can say it is buggy and crashes: because that's exactly what it does. Every time. Every. Bloody. Time. I paid £80 for it and it crashes more than Train Simulator (that's a lot). I'm not trolling, I'm expressing a different opinion. Forza Horizon 4 in its current state is not the game people think it is. I've been trying to help my friend (who just got the game) make progress in the game, and it crashed when I changed menus. As soon as the game closed itself, I said to him I didn't want to play it anymore. And I haven't played it since. Yes, I'm obviously a Gran Turismo fan boy, which is strange, because there's a lot of racing games I like more than GT4, including Burnout Revenge, Need For Speed Hot Pursuit, TDU2, and - oh, look - Forza Motorsport 4 and Horizon. Oh dear. Actually I'm pretty sure it means that Horizon 4 is a huge FLOP... I'm sorry for you and your favourite game. Nexus, Terronium-12, McLaren and 2 others like this. Something something Aventador J has a roof. Sorry to hear about your issues with crashing. I think I've had the game lock up once the entire time I've played it, and that was... yesterday. Nexus and Imari like this. I hear Horizon 5 is going to be all Hoonigan cars. Damn you PG! When will your reign of tyranny end! In all honesty though, find me a game that has as much as FH4 offers in the racing game space. Again, there are problems - but PG are trying their damndest to patch it out, and are being quite open about the process, which is really all you can ask for in a developer trying to fix things. "But but but FH4 is an arcade racer, it's not a sim like GTS. Clearly casuals prefer arcades over sim racing nowadays, that's why it sold more." Terronium-12, Imari and UKMikey like this. Doomotron and TokoTurismo like this. FH series deserves massive numbers for its high quality and timely releases. wolfsburgraz, prousonhairy, CarGuru and 1 other person like this. I like to know as well. For me GTS plays similar to Forza Motorsport, though it has more grip levels. It's just that the cars seem floaty/weightless in game IMO. Other than that, both GTS and FM are no different from each other due to the simplicity of the physics model. Didn't play AC, so I wouldn't know. I wonder how many of those 7 million are from the game pass? I couldn't find any solid numbers other than "millions" but it would be interesting to see how much of a draw Forza is for the service. Anyways, hopefully Microsoft sticks to their word and gives them some more time to develop the next game. As good as FH4 is, I would love to see what PG can do with more than the 2 year window they are currently allotted. Nexus, ImaRobot and DDastardly00 like this. I don't need a Horizon title every other year. I was still playing FH3 in December right before I got FH4 for Christmas. I still need to go back to FH3 to finish up the last bit of both DLC expansions and because I enjoy the setting, I would return for that reason alone. I know I can easily enjoy FH4 for at least two more years if not more. Unsurprisingly, Microsoft isn't eager to give up those numbers. I've seen talk on Resetera that both this and Sea of Thieves have seen quite good sales figures though, despite the prediction that Game Pass would eat into them. FH4 should top FH3 by the end of its run for pure sales, at any rate. Phil Spencer mentioned at E3 2018, that Game Pass actually seemed to FUEL sales, because people try something, and then decide they want the certainty of full ownership. This is especially true if you're one of those people who lets their sub lapse depending on what is coming out on it, etc. I wonder if they count players that launched the game or have a broader count, since i have a 1 million gap, event after correcting data (to match those taken in FH3 early event). There's a high loss of players in the first minute of the game, but I've never been able to estimate this loss before the first leaderboard. Maybe it's just players quitting in very first minutes or not going beyond first menu, i wouldn't be much surprised given data i saw from other video games. UKMikey and CSLACR like this. The unacceptance of opinions not in favor of this game is going a bit far lately. I know some people kind of asked for it, but it's a game, so their opinion is just as good as someone who likes the game is. Depends. If you use chase cam, AC is akin to driving drunk. In cockpit or bumper cam, AC is a LOT more realistic. prousonhairy, Doomotron and FoRiZon like this. I got burnt out by the typical fanboy talk from both forza and gt. That quite frankly is just amusing seeing people fight over a video game. Put that effort and get yourself a badass car in real life. Doomotron and bluemoon_19 like this. "Played" is usually just measured by publishers as having launched the game at least once, and having gotten to a point where your profile logs that fact. Technically it's true that you've "played" it at that point, and the platform holder can't always be certain what you've done past that. Unfortunately (if you care about sales numbers), "users played" is the only meaningful number Microsoft has, for anything on Game Pass. Copies "sold" becomes kinda irrelevant, because Game Pass subs are technically "paying" for everything they have access to. Nor could you just disregard Game Pass players, because the existence of the service certainly "costs" Microsoft some unknown number of standard retail sales. I dont have as much love for fh4. It a great game still but I feel it's more of the same. Not too much an upgrade IMO. And I hate all the emotes and stupid clothes I get I wheelspins.